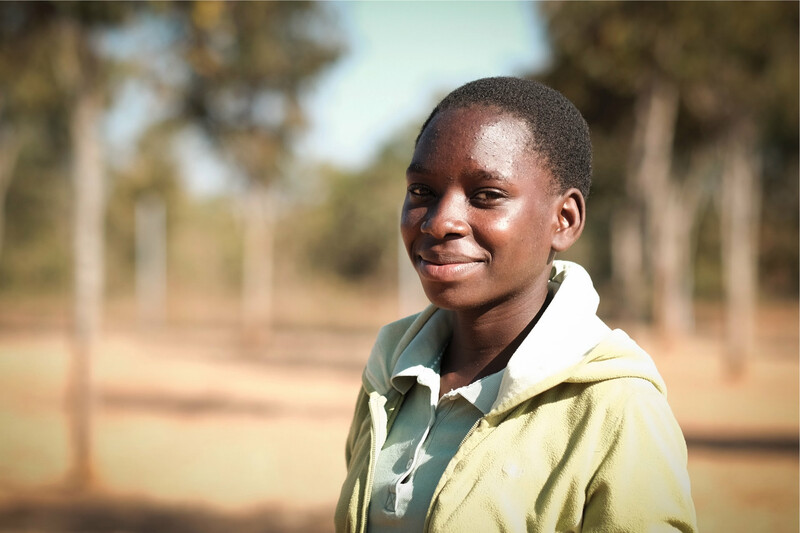 The testimonial below is from Luyando, who attends Boarding at Macha International Christian School (MICS) in Zambia as a result of a scholarship provided by Orphans Promise. 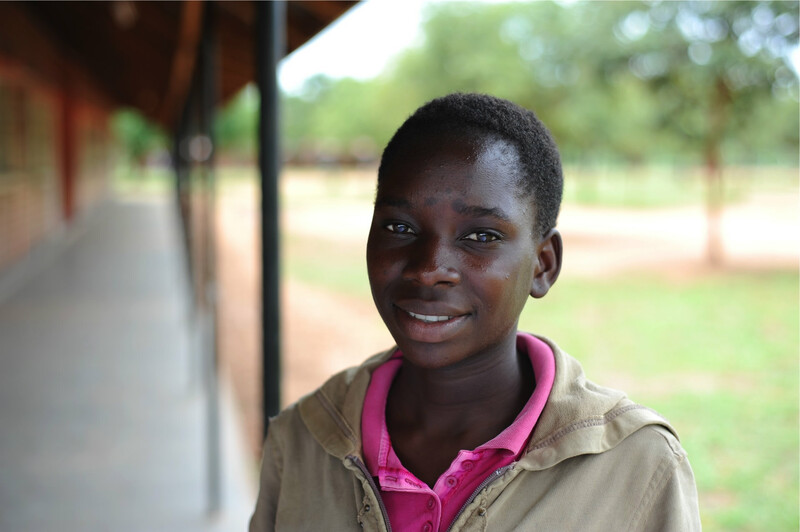 Luyando is an orphan that lived with her grandmother and her brother and cousin. They were also very vulnerable as they had no means of support and were living in a simple village hut. 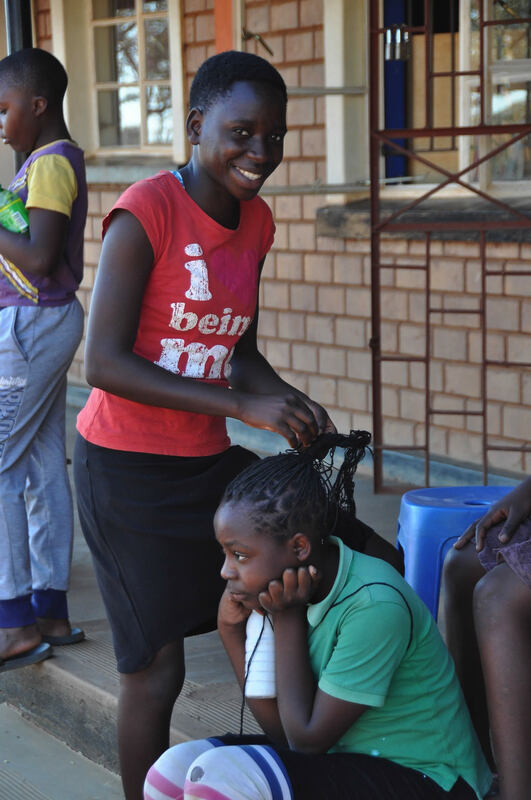 Luyando came to MICS malnourished, shy, and very serious for her age. She was responsible for her family as she was the oldest grandchild living with her grandmother. Luyando began to thrive immediately at MICS. She learned quickly and was able to move up a grade in school after only a short time. She is a good, responsible, caring, student that will do well in the future thanks to all the encouragement she has received from her teachers and especially the boarding staff. This is Luyando’s story in her own words. Hello, my name is Luyando. I am 15 years old, I live in Zambia, and I am in my final year (grade 7) at Macha International Christian School (MICS). I came here in 2013, so I have been here for 6 years. I am very proud of my school because I have learned a lot. I have learned about God, how to respect elders, my friends and myself. Before I came to Mics, I didn’t know very well how to speak English, how to respect elders, myself and my friends. But ever since I came to MICS, I have learned those things. And I am so thankful to the school because they are sponsoring me. When I used to attend the government school, I was sometimes removed because we didn’t have enough money, so I wasn’t able to learn very well with my friends. In government schools, we always learned in Tonga, and they didn’t teach us about the Bible. They just taught us how to respect them, but not ourselves or our friends. In each class, we had 50 students and one teacher. It was hard to learn because students were misbehaving, and the teacher couldn’t control everyone at the same time. 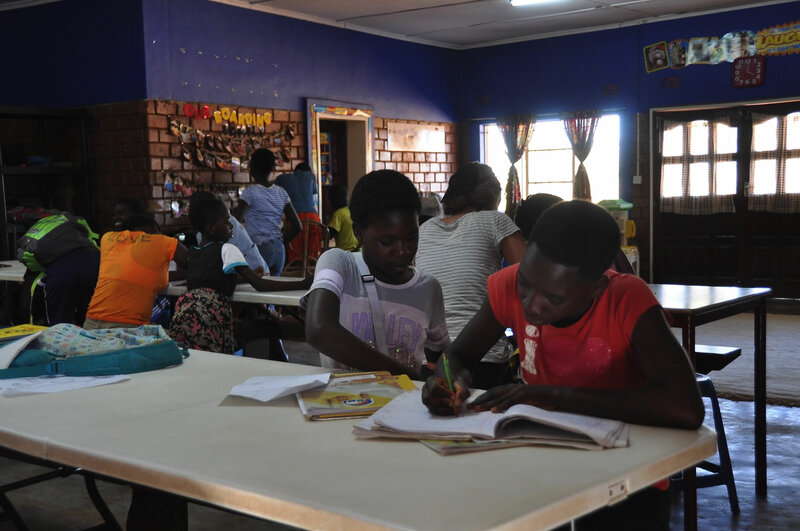 We used to go back to school in the afternoons and work for the teachers…fetching water, washing their plates and sometimes working in the fields. If we refused or said we didn’t want to, the teachers would have beat us and punish us. Sometimes if we didn’t go in the afternoon the teachers would write down our names and the next day during class we would work for them. I remember how they would beat us badly. I didn’t enjoy school because in class I was one of the youngest, so the big ones would bully us and steal our food. Sometimes the teachers were sick or on vacation, and we would just learn nothing at all. One day, my grandmother heard about MICS and came to ask if my brother, sister and I could come to learn at the school. My grandmother didn’t have money to pay for us at the government schools and was hopeful that MICS could sponsor us. We soon learned that thanks to Orphan’s Promise, we would be sponsored! When my grandmother told me that I was going to learn at MICS, I was so happy. We went to church and gave a testimony of what God had done for our family. When I came here, I didn’t know how to speak English. Friends and teachers would come and say hi, and I would just stare at them, embarrassed. Even though I was older, I started learning in grade 1 so I could learn how to read and how to speak English. Most of my friends who entered MICS began as day students, but when my siblings and I joined, we became boarding students. We lived far away, so this meant that we didn’t have to walk the long distance every morning to school. We would come to school on Monday mornings and then go back home after school on Fridays. When I first began at MICS, I was surprised to work with computers. Also, I was amazed to watch Bible movies, like Superbook, in the morning before entering into class. Using computers was new for me, and it was hard at first, but my teachers and friends helped me and now I love it. One of the best parts of coming to MICS was that they gave us new uniforms, shoes, bags, books and play clothes at MICS. We had no money for these things and I was always ashamed. I was scared at first when I entered boarding. I was not used to being with so many people. I was just used to being with our small family, but soon I made friends and now my classmates at school feel like family. In boarding, we used to occasionally eat treats that we didn’t eat at home, like cake and drinks like coke. On holidays we would sometimes get gifts or even do treasure hunts. I wasn’t used to having fun like this! In other boarding schools, they don’t get those special things. At other schools, they don’t give students mattresses, blankets, and other stuff like that…you have to bring them for yourself. Being in boarding school gave me a lot of time to concentrate on my homework. The house mothers do the cooking for us, and we have tutors to help us with our homework. Today I am in grade 7, and we are learning 8 subjects. My best subjects are Math, Bible and CTS (Creative Technology Studies) where we learn about cooking. I also enjoy English. I hope to be a nurse someday so that I can help other people the way I have been supported by MICS. MICS has taught me how to use a gentle voice, how to be patient and kind to others so that they feel safe and loved. This will help me be a kind and caring nurse. My goal after I finish at MICS is to go on to a secondary boarding school to complete my schooling. After secondary school, I will need to work and save money to pay for medical school. I am very thankful to God for Orphan’s Promise and that I have been able to attend MICS. I have learned more about how to thank Him and how to thank the people who have helped me with my school fees. If I hadn’t come to MICS, I wouldn’t have learned about gratitude. I wouldn’t have learned English. I wouldn’t have learned how important God is in my life. Thank you Orphan’s Promise! make an investment in the future today!